“Life is the Flower, Love is the Honey” – Book Review | Short and sweet.. This is a story of a dream; a story of every dreamer. 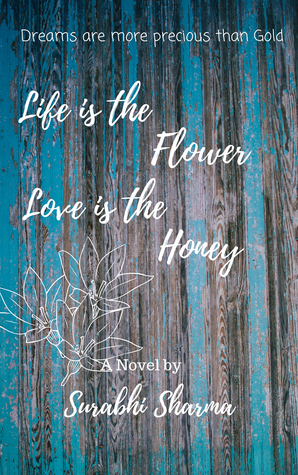 Life is the Flower, Love is the Honey was a short and simple read. The chapters are really small and you just fly through the pages! I enjoyed Shubh and Monica’s journey, their struggles and tryst with the past. Overall, it may not be much of afresh story but the way it is presented makes it different. I especially liked reading the chapters that were like tid-bits of life lessons. What makes it even more cool is the fact that you can read these chapters stand-alone for some life advice as well but they fit in so perfectly with the story. They keep the flow going while making you sit back and ponder for a while.. to come out of the story and relate it with your own experiences! I recommend reading this if you want to read something super-fast and light. Previous Post “The Last Attractor Of Chaos” – Book Review | Fresh concept but not for everyone..
Relatable thoughts abt the book!